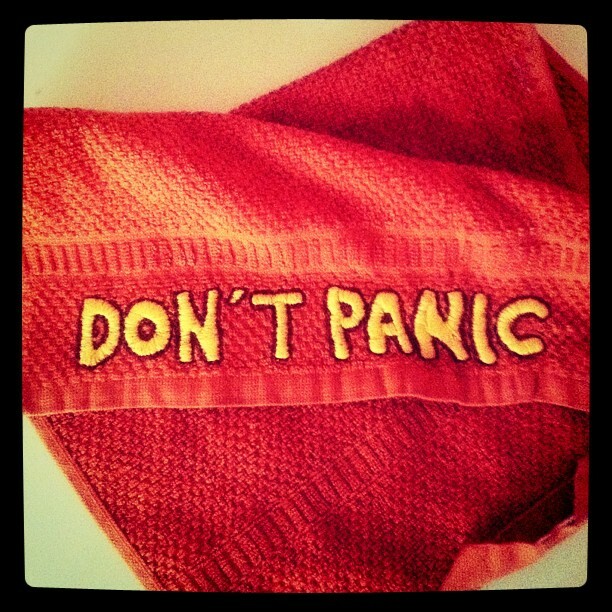 Durmadan Doctor Who izleyip Hitchhiker's Guide to the Galaxy craftlari yapiyorum su ara. Marvin bey ve o tadda birkac planim var ama daha da havlu neyin elimi surmem. Canim cikti bitircem diye -_- sekizbinucyuzyetmisiki saat surdu! 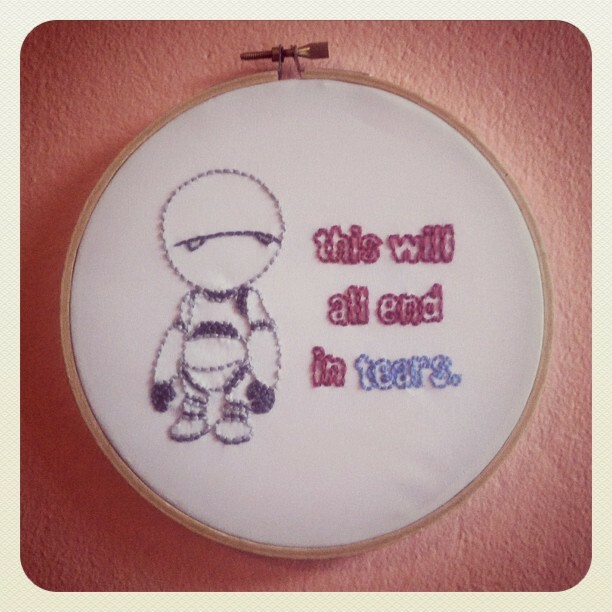 I've been watching Doctor Who and making Hitchhiker's Guide to the Galaxy crafts lately. I have some rough plans about Marvin and other things along that line but I'm never ever touching a towel or a project like that, ever again. It took me eightthousandthreehundredseventytwo hours finish!